“History2” continues where “History1” ends – this book documents five previously unreleased stories of frogmen units of the 2nd World War. “History2” continues where “History1” ends – this book documents five previously unreleased stories of frogmen units of the 2nd World War. 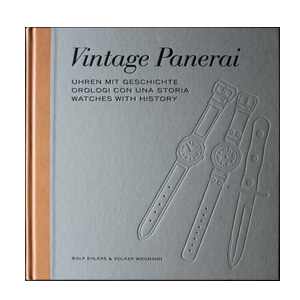 Their personal stories are building the columns of five moving chapters together with detailed views on their watches and instruments, using extracts from the authors’ database of today existing Vintage Panerai watches. Years of intensive research, diary extracts, interviews with the veterans, combined with more than 290 historical photos, maps, documents from allied secret services and illustrations are writing Panerai’s unique history, having been a supplier for an essential tool in dangerous underwater missions during the 2nd World War. 26 x 26 cm, 480 pages, trilingual (German, Italian and English language in one book), hardback jacket, slipcase.